Barb is the Founder and Director of La Jolla Volleyball club. Barb played Division 1 collegiate volleyball at UC Santa Barbara as middle blocker. Barb also played water polo at UC Santa Barbara. She used her blocking skills as the goalie to help her team win the National Championship in 1990. Barb earned her Bachelor of Science in Geology at UCSB. After college, Barb moved to Reno and coached Bishop Manogue High School Varsity girls volleyball team to their first winning season and also on to the State Championship tournament. She and her brother then co-founded the Sierra Nevada Juniors Program in Reno in 1992. Barb moved to Southern California to pursue a career as a geologist with Bechtel, and also competed professionally in volleyball for 10 years, both indoors and on the beach: WPVA, BVA and AVP tours. Barb has also organized and run large clinics for Mile High Volleyball Club in Lake Arrowhead, taught volleyball classes, run clinics, camps, and trained AVP players. Barb was on the coaching staff at La Jolla High School for three years: she coached the girls Freshman volleyball team in 2009 and 2011 and Varsity Assistant Coach in 2010. Barb was the Director of Operations at Wind n’ Sea Volleyball Club 2010 and 2011, including two Fall middle school seasons and two Spring club seasons. 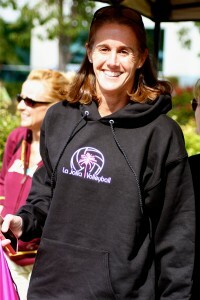 Barb started La Jolla Volleyball CLub with sold-out beach camps in Summer 2011, then launched the indoor program of La Jolla Volleyball in Spring 2012 with 8 teams in the inaugural season. 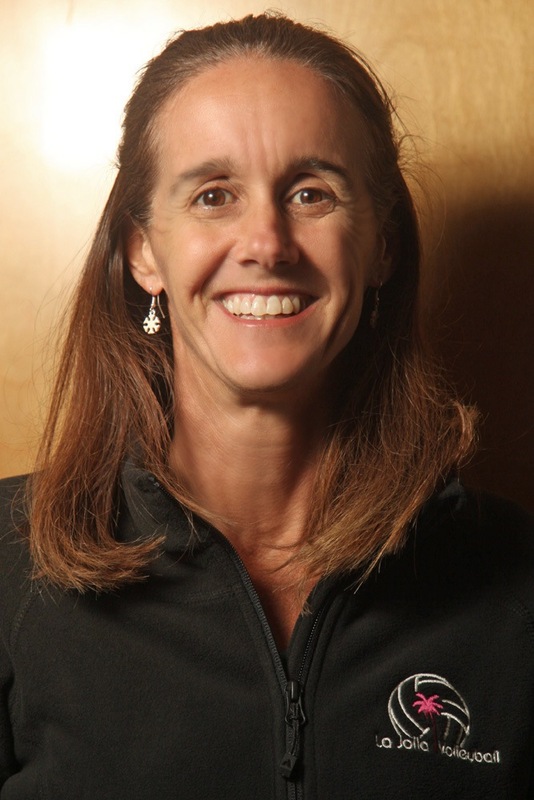 Barb has been coaching and co-coaching the top 14s, 16s and 17/18s teams with LJV, and regularly appears in the Gold division of SCVA rankings, and has notched numerous “upsets” of higher-ranked teams from larger clubs. Barb has completed numerous coaching seminars and advanced training courses, and never tires of learning new coaching techniques and ways to get the most out of her players. She has completed USA Volleyball’s IMPACT coach certification, she is SafeSport Certified, and has her USA Volleyball CAP I training certification. Did you know? After college, Barb used her Bachelor of Science degree to work as a Professional Geologist and Project Manager. She worked in Reno, NV in the mining engineering field for 2 years before moving to Southern California to work for Bechtel Corporation. With Bechtel, she worked on Environmental Remediation Projects, high-security projects on military bases, and numerous his-profile pipeline and tunnel projects. Two notable projects were the Inland Feeder Pipeline project in San Bernardino, a tunnel crossing crossing the San Andreas Fault, and another was the Camisea Project in Peru (living in rustic jungle for 6 weeks), designing pipeline routes to safely bring natural gas over the Andes Mountains to a fractionation plant in Lima, Peru. Barb is a cancer survivor and is truly enjoying and appreciating every moment of life. Barb and her husband live in La Jolla, and have 3 kids, including their oldest daughter, who is currently playing volleyball at Bowdoin College in Maine, and another daughter heading off to college to play volleyball as well. She can’t wait to share her energy and love of volleyball with your child!